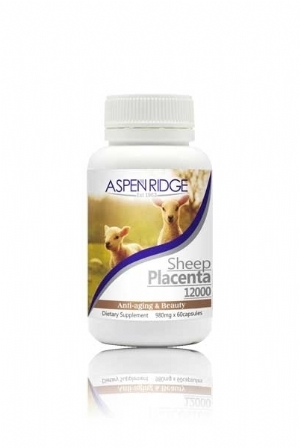 Aspen Ridge Sheep Placenta is suitable for Women and mature health needs. The secret of Sheep Placenta for skin and beauty is directly related to the naturally occurring stem cells, which support skin regeneration and result in renewed skin and hair, and may help reduce the appearance of scars. The high protein levels found in Sheep Placenta stimulate collagen and elastin production for skin that appears firmer and youthful. Sheep Placenta acts as an internal skin hydrator and may assist in the balancing of excess oil production, which provides a solution for blemish sufferers. 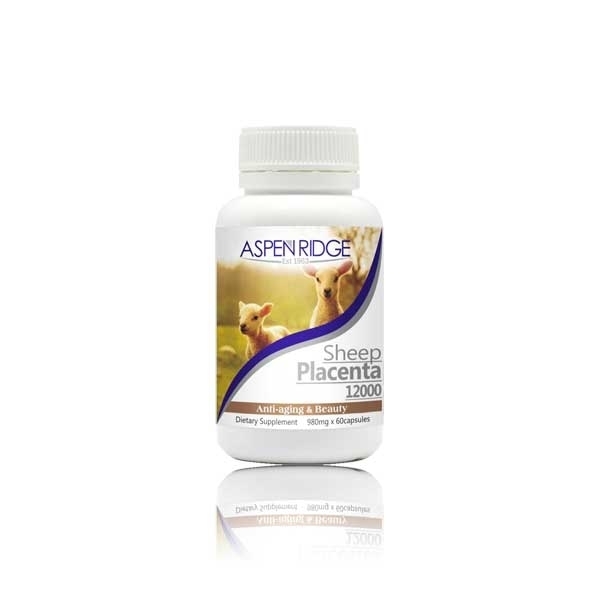 Sheep Placenta has multiple benefits for hair health, helping to eliminate frizz, dryness and breakage. Sheep Placenta may also support menstrual regularity and sexual function. Adults take 1 - 2 capsules daily with food. Supplements that aid in skin restoration, may take up to 3 months to see visible results.